1. How long are Honey Brake duck hunts? 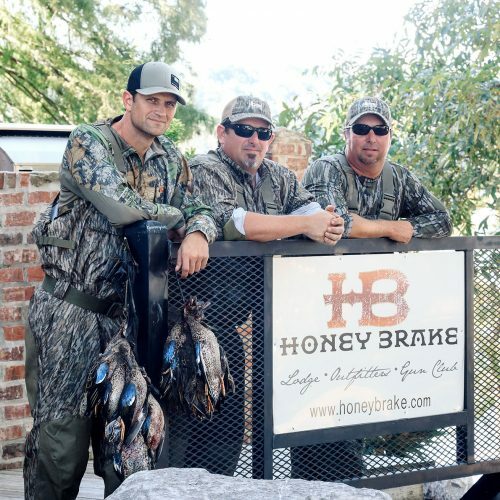 Trips to Honey Brake include three mornings of hunting, four nights at the lodge, and plenty of extra time for activities. 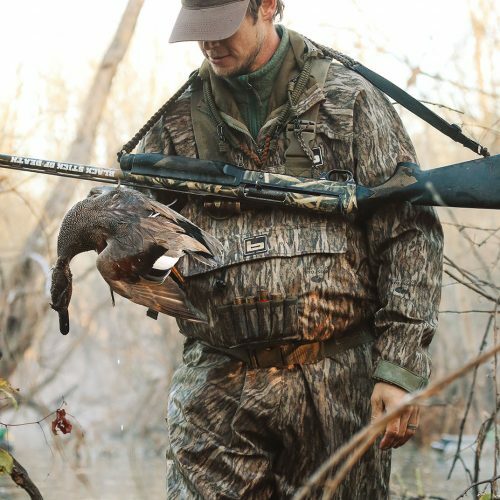 Length of hunt trips is limited by Louisiana bag limits. Read more about wing hunt trips. 2. Do I need to bring waders? Yes, we ask that all guess wear waders. 3. Can I bring my own dog? Yes, we charge $200 per day to hunt your own dog and we require current vaccination records to board them in the kennel. 4. Can I get my license there? Yes, we are able to purchase licenses online from http://www.wlf.louisiana.gov/licenses-and-permits . We do recommend that guests take care of this before arriving to avoid any issues with our internet or the LDWF website not working. 5. What licenses do I need? -Louisiana residents will need either Basic hunting and LA duck, Lifetime hunting, or senior hunt and fish. -Non-residents will need either NR hunting season and NR LA Duck, NR small game and migratory bird 1 day, or LA lifetime. -Both residents and non residents will also need a Federal duck stamp. 6. Why can I only hunt three days? 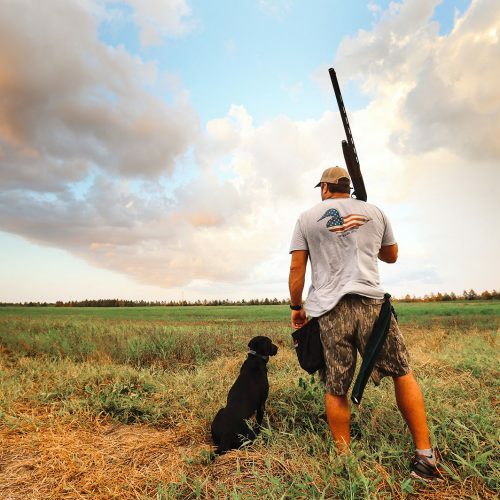 Due to the legal possession limit (18), you would not be able to legally possess the birds from more than three hunts, assuming you get a limit everyday, which is our goal. 7. What type of shells should I bring? You can bring any non-toxic shot of your choice. We recommend BB, 2, or 3 size shot. We also have shells for sale at the lodge. 8. Do I need to bring my own gun? Most guests prefer to bring their own gun, but we do have rental guns available for $50 a day. 9. Is alcohol provided at the Lodge? No, guests will need to bring their own wine, liquor, or beer, but we will provide all mixers and coolers to store beer. 10. Can I bring my wife/kids along just to enjoy the lodge and not hunt? Absolutely, but the day rate is the same whether you hunt or not. 11. If I fly in, will I need to rent a car? We can pick up/drop off at the airport. Just schedule this when you book your hunt. 12. What type of ducks will we be shooting? We are in a very unique area that offers up a wide variety of different ducks. It is not uncommon to bring in as many as 14 different species on one hunt. Preview a range of species we commonly see on the Waterfowl page. 13. Will we be able to hunt morning and afternoon? No, we hunt on Honey Brake until a limit or 11:00am. We have found that giving the birds the afternoon to relax, not pressured by hunter, provides us with great morning hunts day after day.